Campers will study the significance of eggs in various cultures and historical periods. These young artists will then create their own eggs in both 2d and 3d techniques. 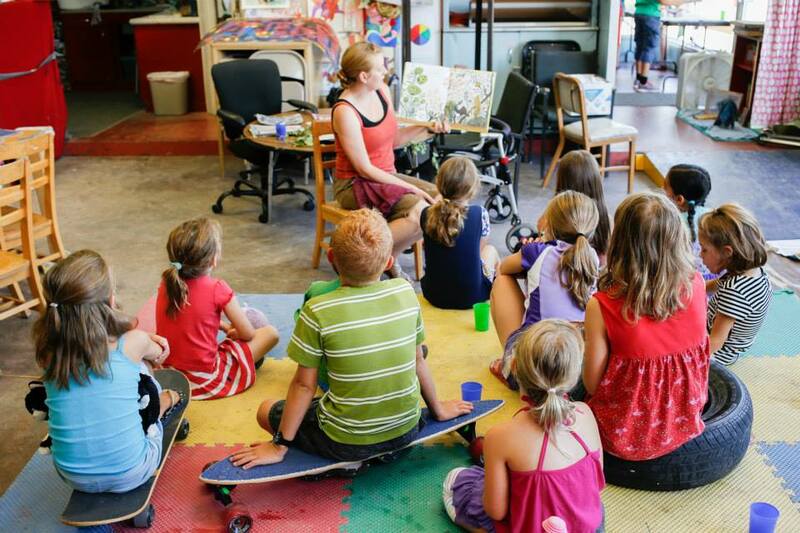 Campers will explore paper-mache, painting and collaging! Space in this class is Available! Patty Paul has a BA from the University of Denver in Theater. She has worked on sets for Walt Disney, the Rolling Stones, Willy Nelson and many more shows at Red Rocks Amphitheater. She has also painted logos on the basketball court for the Nuggets at the former McNichols Arena in Denver, CO. 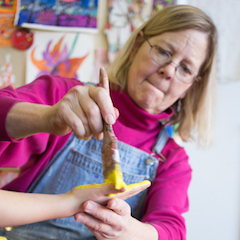 Combining her background in painting, drawing and stage sets with her love for researching children’s literature; Patty guides students through a variety of techniques, materials and images to create projects that offer new insight into the story that inspires the visual arts in both classes and birthday parties.